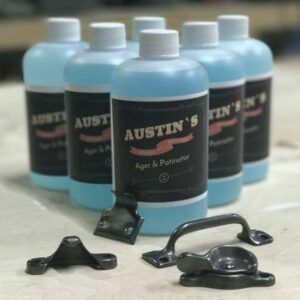 In the late 1800s Orlando was enjoying what was remembered as its “Golden Era” when from 1875-1895 it quickly became the hub of the nation’s citrus industry. The downtown area was covered with miles upon miles of independently owned orange groves. In fact, Orange Ave, which runs through downtown, got its name because it originally dead-ended at an orange grove on the north end of town. But the Great Freeze of 1894–95 forced many owners to give up their independent groves, thus consolidating holdings in the hands of a few “citrus barons” who shifted operations southward. 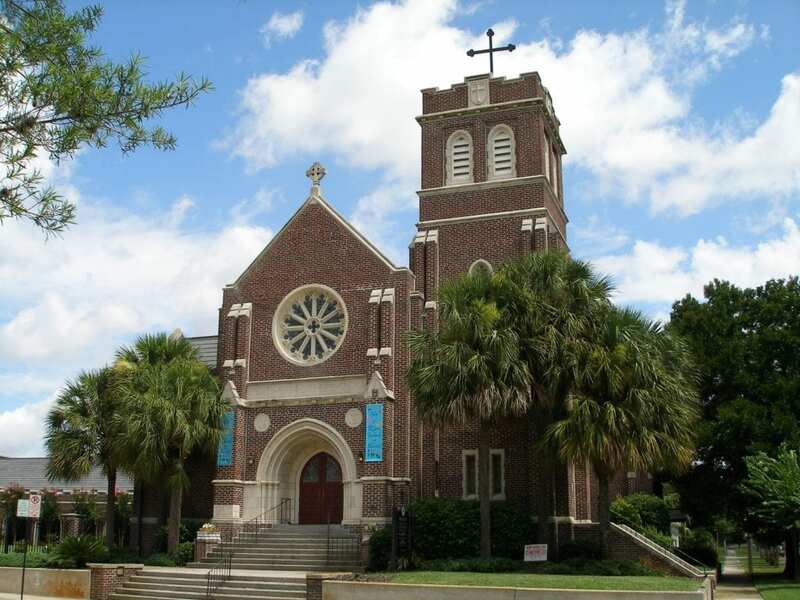 It was around this time that Jacob Summerlin, a wealthy and benevolent figure in Orlando’s early history, donated 200 acres to the burgeoning city of Orlando. 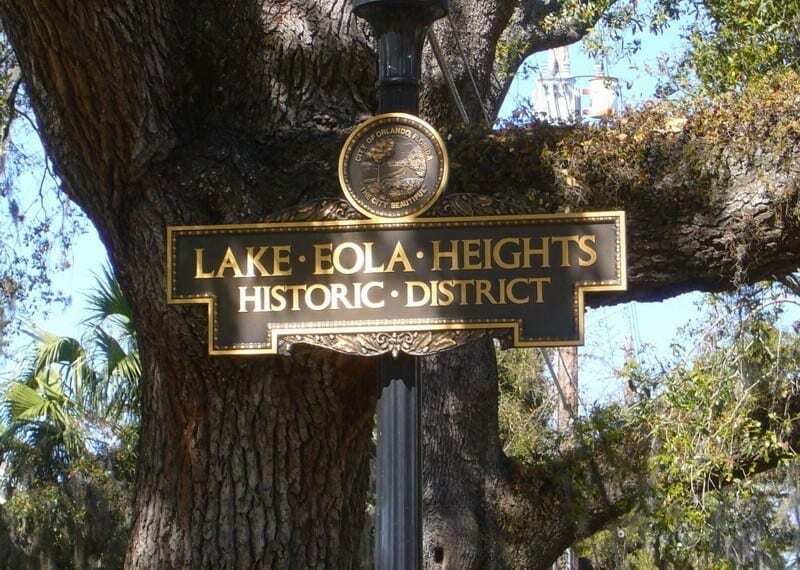 Part of this grant became Lake Eola Park and the rest of was organized by the city to become one of the first organized neighborhoods in Orlando, Lake Eola Heights. 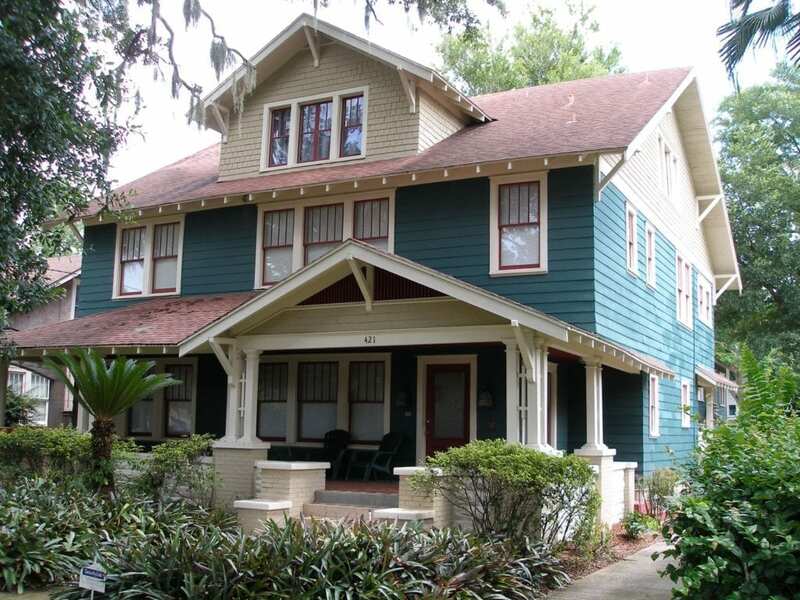 At the time, Lake Eola Heights was mostly citrus groves and a few vernacular clapboard farmhouses built between 1890-1911 as the neighborhood grew with the still relatively small city. 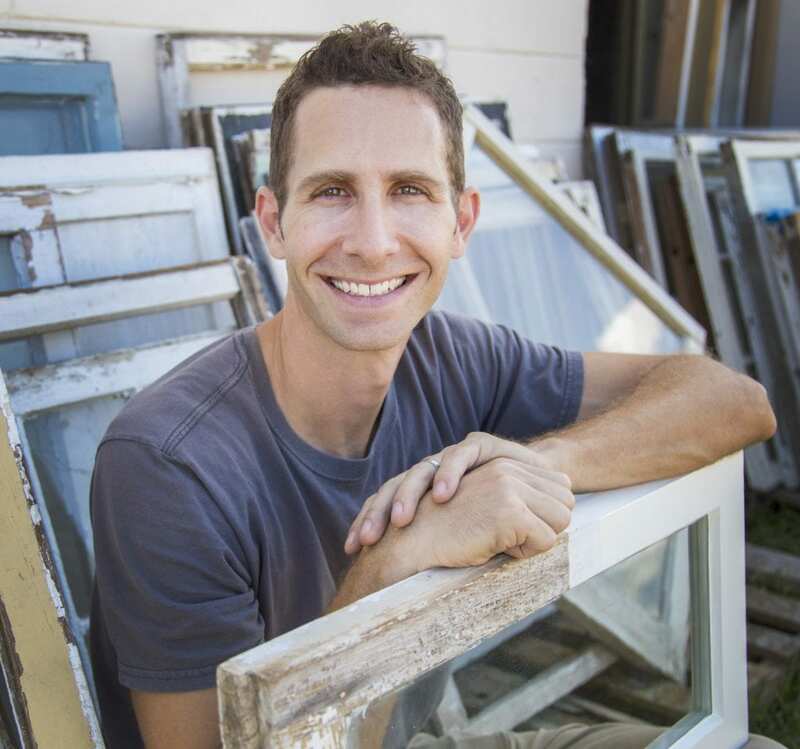 But starting around 1920 the nation became obsessed with Florida real estate. 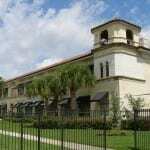 The Florida Land Boom (1920-1926) resulted in massive growth and building in downtown Orlando’s first tier neighborhoods, of which Lake Eola Heights was the first. 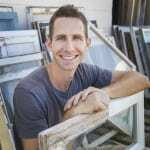 The neighborhood is a diverse collection of Craftsman, Colonial Revival, Mediterranean Revival, Mission Revival, Minimal Traditional, and Art Deco mostly built from 1905-1925. When the Florida Land Bubble burst in 1926 construction slowed to a crawl, and it took until 1949 for the rest of the neighborhood to be completed. 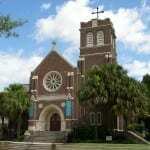 While most of the neighborhood consists of homes built by individuals there are also several schools and churches such as the Gothic Revival inspired Trinity Evangelical Lutheran Church, located 123 East Livingston St. and the St. James Cathedral School, at 505 Ridgewood St., which is one of several Mediterranean Revival schools built in Orlando in the 1920s and is one of the best examples with its bell tower, ornate entrance, and embellished friezes. 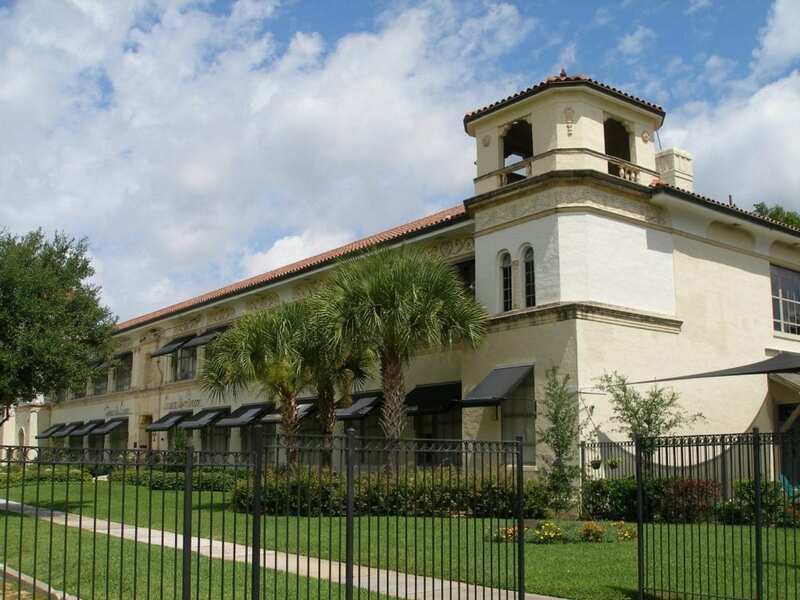 Thanks to a small group of preservation minded residents of this neighborhood in the mid-1980s Lake Eola Heights became the first historic district in the city of Orlando and has continued to flourish as the homes here have been restored to their former glory over the last three decades. Billy, try the Orange County History Center in downtown Orlando. If there is a place that will have some it’s likely there.